1) Right click "Computer" and select "Properties". 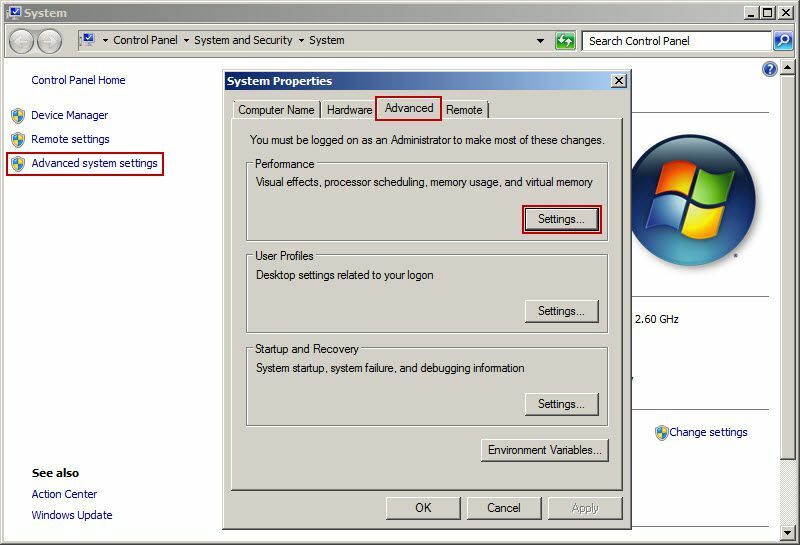 2) In the pop up system interface, click "Advanced System Settings". 3) Click the "Advanced" tab in the pop up "System Properties" dialog box, and then click the "Settings" button in the "Performance" column (Figure 1‑1). 4) In the pop up "Performance Options" dialog box, click the "Advanced" tab, and then click the "Change" button. 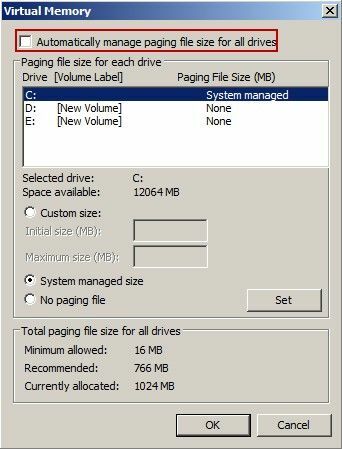 5) In the pop up "Virtual Memory" dialog box, uncheck the "Automatically manage paging file size for all drives" check box, and click Drive C, then select the "System managed size" radio button and click the "Set" button. Finally, click the "OK" button (Figure 1‑2).